One of the things that I try to do in my studio (and my home for that matter!) is to be aware of the resources that come through and use them as fully, or dispose of them as properly, as possible. One thing that I have a bit of a personal crusade about is packing and packaging materials! Most of them seem to be over-kill and a waste of paper, plastic, space and time (especially trying to get into some of them!!). 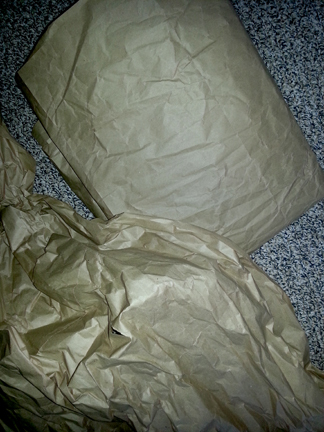 Lately the companies that I order my supplies from have been using flat brown craft-type paper in long, crunched up rolls to pad the shipments. This I LIKE! A few minutes to smooth out the wrinkles and fold it neatly and it has all kinds of uses in the studio. Whoot! 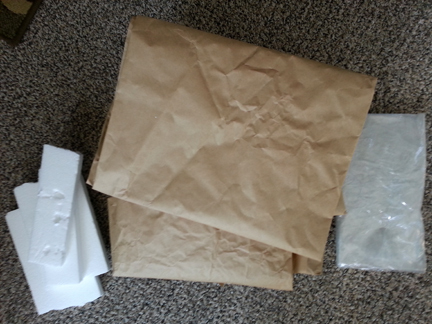 I keep any styrofoam packaging to use in building mixed media sculptures as well as the plastic packaging bags to use for protection of work surfaces, floors and even the finished art. They are great for sorting class supplies in too! 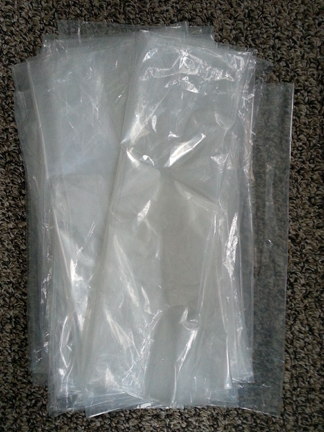 When I purchased the shelving for the studio all the pieces were wrapped in plastic, I’ve got a good stash going now! 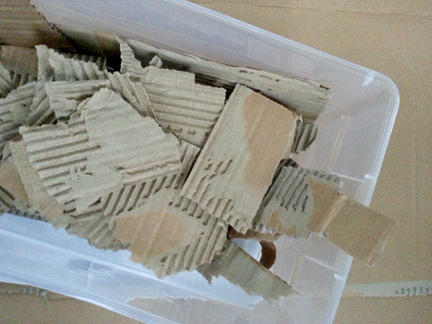 As for the actual boxes, I break them down into larger flat pieces (again for projects, surface protect, material to create bases for 3D work, etc.) 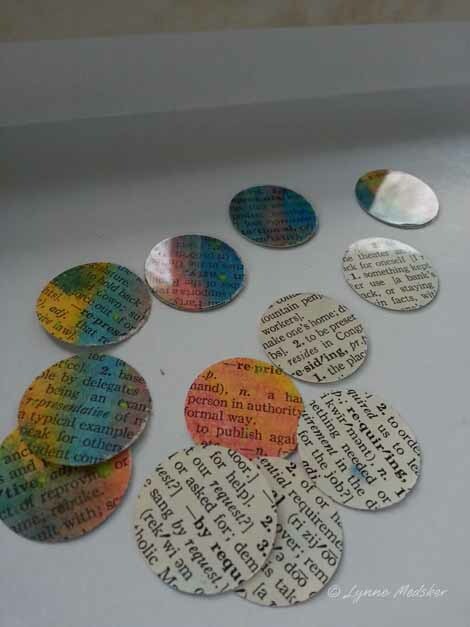 and then the lid flaps I tear up into smaller pieces that I use for stamping texture and designs on work. Look at this tub full of fun!